Gloomy days and frigid nights make getting a move on winter projects impossible. Sometimes a little inspiration is all we need. Here in the store we challenge ourselves with a string of beads we wouldn’t usually use, or a color that we haven’t made jewelry with for a while. Other times it is nice to simply take inventory of what is lying around in the bead organizers for goodies we’ve over looked. Fighting the Winter blues gets easier with bright, and bold jewelry. I think it helps find the deeply buried hope for Spring flowers and lower electric bills. 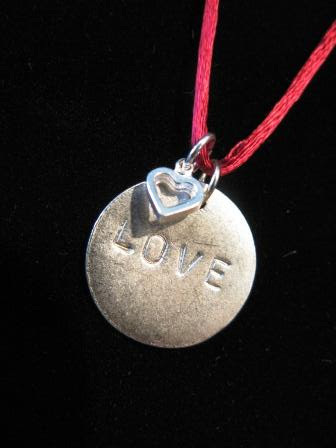 A couple things on our minds for Valentine’s Day are stamped metal pendants and charms, and Birthstone jewelry. your own lovely messages too! Birthstones are a perfect way to personalize any gift or piece of jewelry for yourself. Birthstone to complete the look and sentiment.